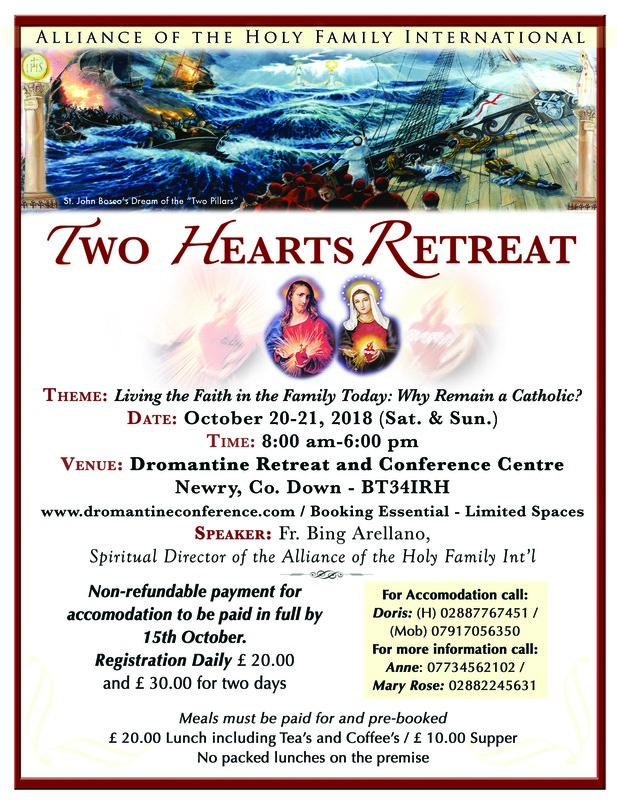 Please see poster for details on the upcoming Fr. Bing retreat in April. We have placed advertisements in the Catholic Voice and Alive newspapers encouraging people to attend our vigils of reparation at this critical time for our country in order to save the 8th amendment. Click here to see advert and also see our vigils page above for the updated details on the vigils listed by province. 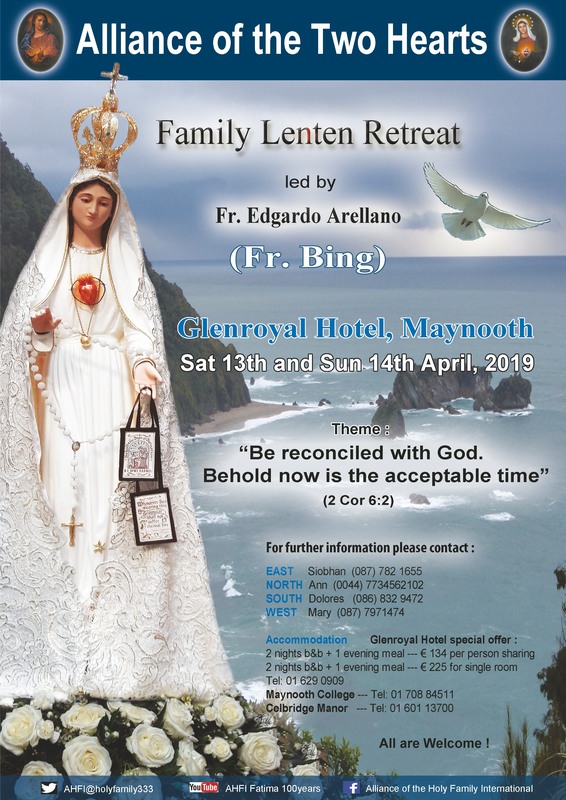 Fr Bing will lead a retreat in the Firgrove Hotel in Mitchelstown, Co. Cork on 24th and 25th March. 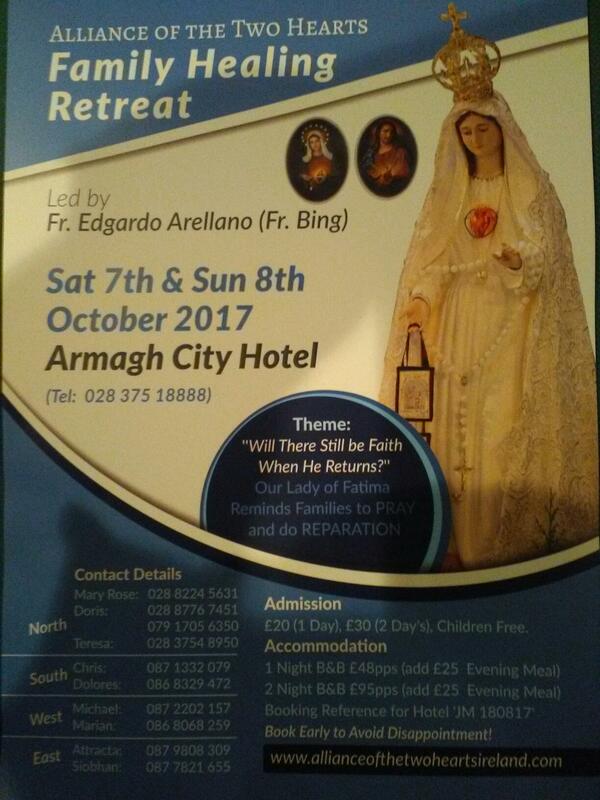 This will be a very important retreat. Click on the link for details. Optional memorial of the Alliance of the Two Hearts 27th Nov.
Also at Blakestown Church, Dublin 15 @ 7.30pm. If ringing hotel from Republic of Ireland landline or mobile use UK prefix 0044 i.e. 004428 37518888.